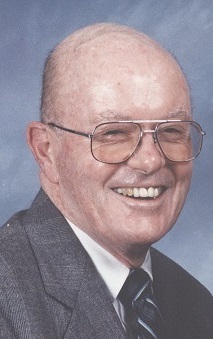 Donald Lee Smith, passed away May 4th, 2018 at 87 years old. He was born on July 31st, 1930 in Kansas City, Missouri. He is lovingly survived by his wife of almost 67 years, Mildred Evelyn Smith, his sister Carlene Smith his children Rick Smith (Cindy Connellan), Steve Smith (Lisa Smith), Kelly Smith (Margie Smith), Wendy Vogel (Tim Vogel), and 15 grandchildren and 4 great grandchildren. Don served in the National Guard and had a lifelong career at Corn Products then National Starch. He was a kind and dedicated father, grandfather, and great grandfather. Don was an Eagle Scout and Scout Master. His cheerful presence will be greatly missed. Visitation will be 1PM, service 2PM, Thursday, May 10, 2018 at Park Lawn Funeral Home, 8251 Hillcrest Rd. ; burial in Memorial Park Cemetery.